Microsoft released Guest Access for Microsoft Teams last week, annoyingly whilst I was on holiday, so I got to miss out on all the early action! Anyway, I am back now and have been taking a look at the feature. 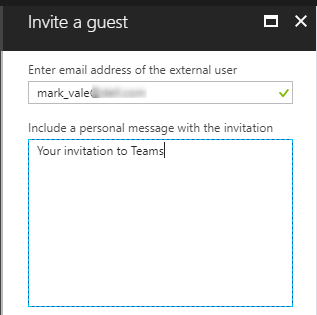 The normal process to add a guest to a Team is for one of the Team Owners to invite the Guest to the Team using the Teams app or web client (wow! 4 Teams in a sentence – this is going to be hard!). Giving the power to end users to add external parties to a Team is quite a privilege and I can’t wait for the post on ZDNET or The Register that is titled “Massive Data leak at Mega Corp Due to Rogue Employee adding a Competitor to a Teams Team in Microsoft Teams!” but anyway, I promised myself I would not be cynical anymore and look at the positive! On a serious note, now that there is guest access, you should really plan your groups and channels to ensure that guest can only be added to Teams that hold non-sensitive data, but maybe that’s another blog post! So back to the point of this post, what if you get end users that seem incapable of following a simple 3 step process guide to add a guest to the Team and want you the IT guru of mega corp to add them on their behalf? You can just imagine the service ticket; Title: “Please add Guest to My Team” Description: “Please cam you add the attached list of users to my Team”. When you open the JPEG screen capture containing the list of email addresses (yes its always a screen shot, never a nice easy excel sheet) and you have sent 5 emails, an IM conversation and a phone call to find out which Team they should be added to, how do you do it? However, I have been doing some testing and figured out that this can be done using Azure AD and Office 365 Groups. DOES NOT work with Teams. However, if you do add them to the Group in the Office 365 Portal then it will work just fine. 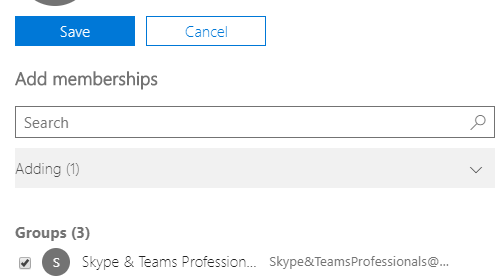 I am not sure why this is the case, I figure there must be some overlaying function that kicks off when the user is added via Office 365 portal that is missed when adding directly into Azure AD. Click on Add Membership and then select the group you wish to add them to and press save. 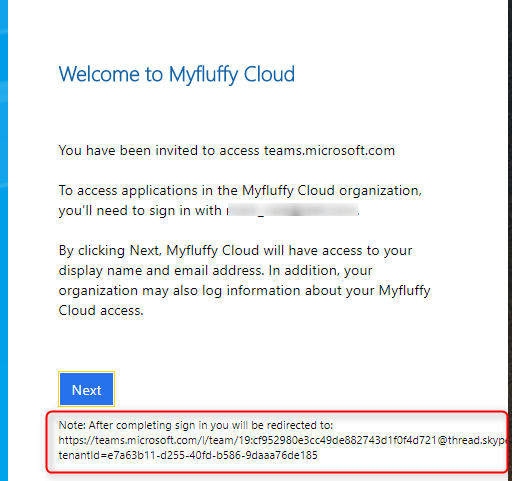 If you added the user to the group using Azure AD, then when they access the Teams link they’ll authenticate with the guest tenant, but will have a blank Teams experience. What you’ll need to do is remove them using the Azure portal from the Group and re-add them to the Group in Office 365, and wait 30 mins. This is also the case if you follow the below method and the guest signs in before 30 minutes. So it isn’t fool proof by any means. Perhaps delaying the invitation email would be advised! Performing this by using Powershell gives you some more options to customise, specifically the redirect URL for the Invitation sent and the display name of the user. 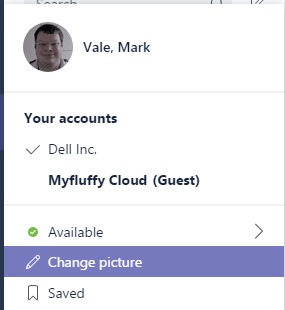 One of the problems with Guest Access is by using the Teams app to invite Guests the display name of the person is set by their UPN you added in. This means that you can have several “Jane” and “John” users and you have no way to figure out which Jane or John you are conversing with. By inviting them into Teams using Azure AD PowerShell allows you to customise the display name as you add, rather than a remediation task later on. Next we need to add the user to the Office 365 Group. As the group is mail enabled, we cannot use the MSOL commands to manage it, we need to connect to Exchange Online PowerShell to do that. For the links you’ll need to add the user account as its displayed as the UPN e.g. 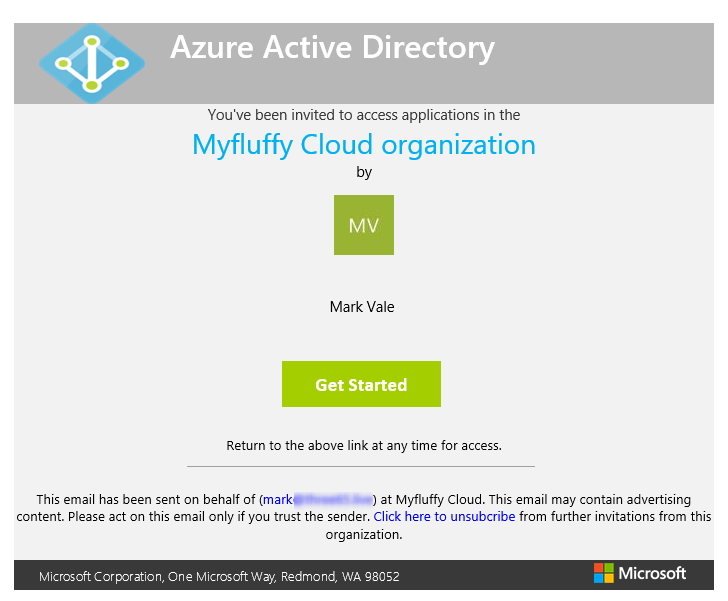 mark.vale_domain.com#ext#@myfluffy.onmicrosoft.com which signifies it’s an external account. Now wait for 30 minutes for Teams to catch up. Although this seems to work, as I said before the recommended approach is to use the Teams app to grant guest access. However, it may be useful to you in some circumstances, especially bulk enablement. Microsoft Teams–Is Yours Setup Ready for Ignite?